David Mace, a pioneer in marriage enrichment, once noted, "Marriage is the deepest and potentially the most gratifying of all human relationships, but it is also one of the most demanding. Unfortunately couples seldom have more preparation than a little advice from their parents and a new set of china. The Diocesan Marriage Retreat is a weekend for married couples to spend quality time with one another and the Lord Jesus. Couples have their own private cabin for two nights in the gorgeous setting of Topsail Hill State Park. Talks, Mass, Adoration, availability of Confession, small group, and one on one time move couples to a deeper recognition of the centrality of Christ in their marriage. Access to the park's 30-A beaches as well as hiking and biking trails allows couples to reconnect and relax in the great outdoors. Catholic Engaged Encounter is an in-depth, private, personal, marriage preparation experience within the context of Catholic faith and values. 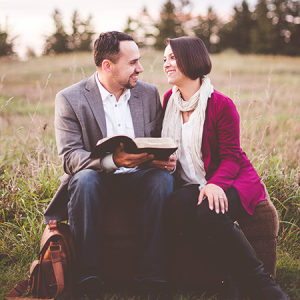 Training equips Christian couples to be volunteer marriage coaches for MarriageTeam. MarriageTeam trained coaches help 89% of those couples thinking about divorce or in the divorce process decide not to divorce. In the last 4 years, 100% of the trained couples have said they would recommend the training to another couple. Coaches learn how to facilitate learning and application of 10 relationship skills so that couples can communicate effectively to better understand each other and resolve their issues. Our Marriage Intensives are led by professional, licensed therapists equipped with years of training and experience. With warmth, genuine concern, and a non-judgment approach, they work to deliver an in-depth counseling retreat designed to bring each couple to a place of renewed hope, direction, and intimacy. 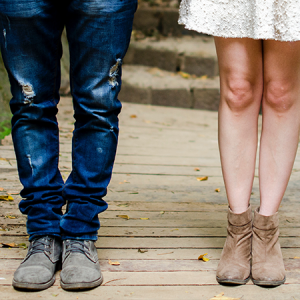 We believe that healthy marriages promote healthy families which are the cornerstone of the church body. Adventures in Marriage Session 3 helps couples understand men and women's differences and how to EXPRESS ANGER, AVOID DIRTY FIGHTING. This is the last of 3 sessions at Resurrection Catholic Church. Grouplink is a two-hour relational event that allows you to meet people in a similar stage-of-life and location of town close to you. Laugh and learn with your spouse as you hear from nationally recognized marriage experts and discover how to honor God in your marriage. Do you feel a power struggle with your teen? Is it hard for you and your teen to connect? Parenting through these waters is an incredible privilege, but requires growth, humility, and unique ways to extend unconditional acceptance and love to our teenagers. To Trust Again is a marriage preparation program specifically geared toward couples where one or both have been previously married. Marriage Strong exists to provide strategic and engaging opportunities for every couple to enrich their marriage. Retrouvaille International surveyed our program participants for the past five years. 5,236 program attendees responded, and the results show a proven track record of success in helping marriages. Dinner and Comedic Entertainment The Michael Jr. Comedy Experience features a Delicious Full Course Dinner with Live Comedic Entertainment by the “One and Only”, Michael, Jr. who will be performing “LIVE” in San Antonio for 1 Night Only! Could your marriage use a tune up? Are you struggling to connect and communicate? Are you getting ready to commit and want to get it right? Are you looking to invest in an already healthy relationship? Pre Cana is a single day of reflection that helps prepare couples for living the Sacrament of Matrimony. It is intended for couples where neither party has a prior marriage. Couples will receive instruction on key aspects of of married life and be given opportunity to discuss them with each other. The US Marriage Resource Center is an electronic clearinghouse of marriage-related resources and programs across the U.S.